If you don't have a Zoom H1 in your kit, I'd say its a pretty nice little problem solver. I use mine as a stand-in when I'm having trouble getting wireless to work well because of interference issues. Just plug your talent's lavalier into the H1, start the recording, drop it in their pocket, then sync in post. Audio quality is surprisingly good and clean on its 3.5mm microphone input. 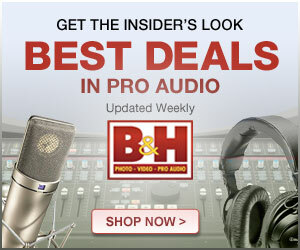 B&H has special pricing during the Audio Engineering Society (AES) convention at only $75 for the silver version. Older PostVideo Editing Apps: Which Should I Use?